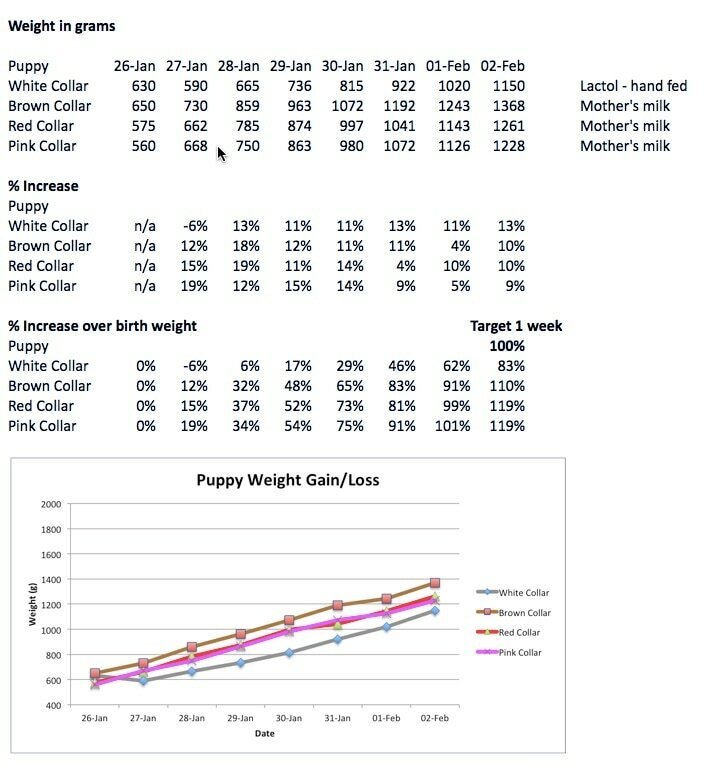 All three puppies being raised naturally on mother's milk have more than doubled their weight in the first week which is excellent. They have benefited from having eight teats to share between three! Mr White, who we have decided to keep and call "Ben", had a tricky entry into the world via forceps delivery and due to his mouth being delicate we are hand feeding. On the first day he lost some weight but importantly we were able to get mother's colostrum in. Since day 2 he has gained weight consistently and is making a good recovery, catching up with his brothers and sister.